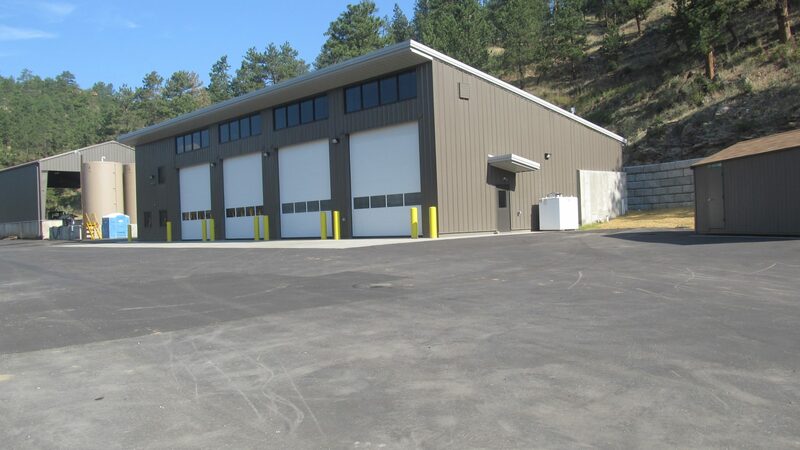 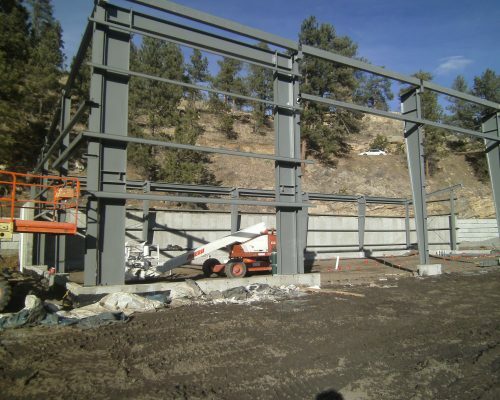 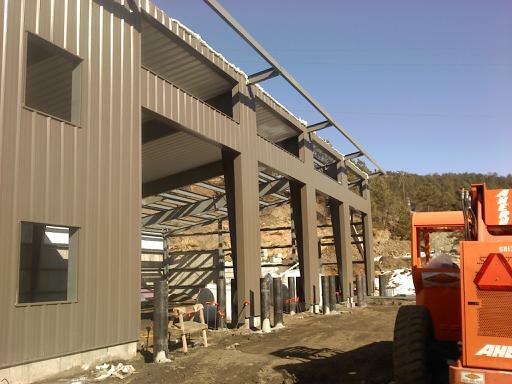 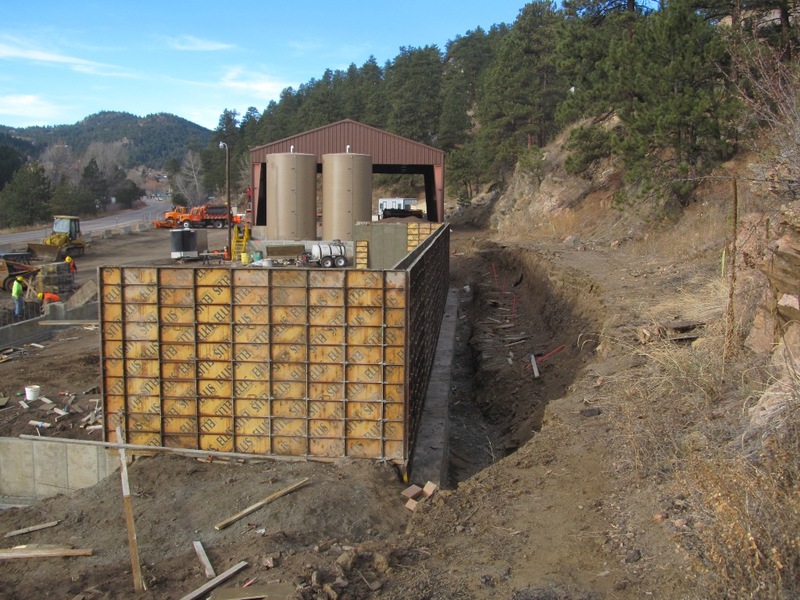 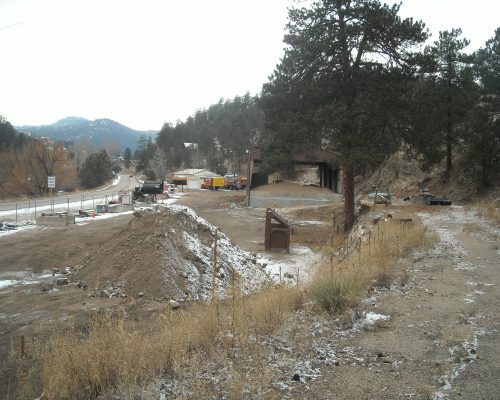 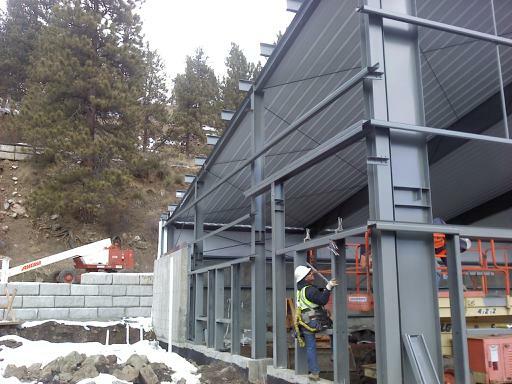 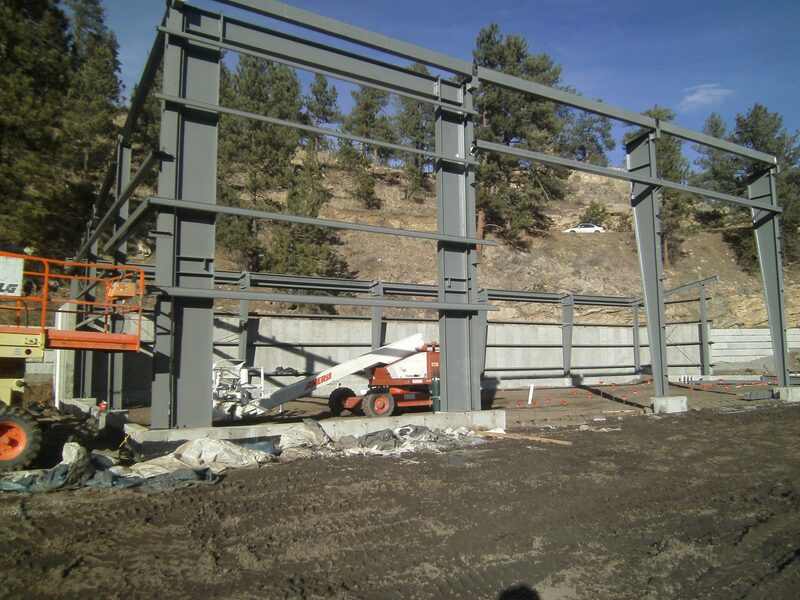 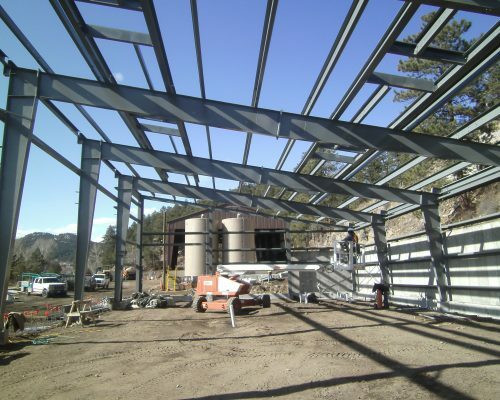 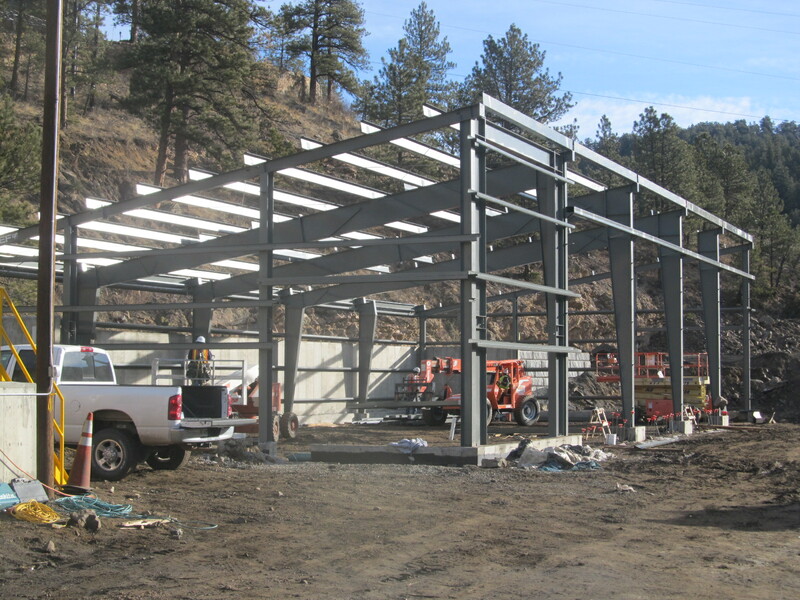 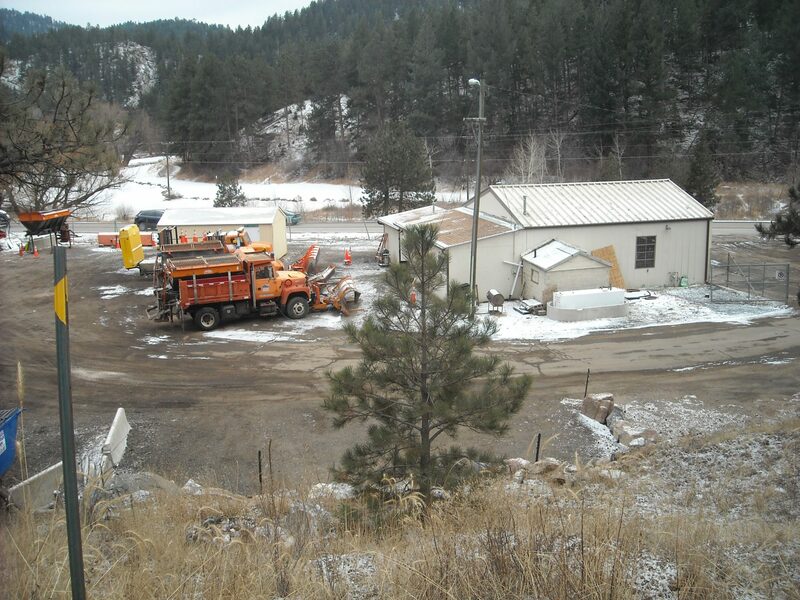 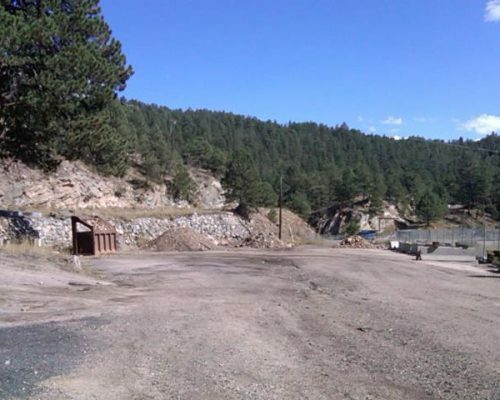 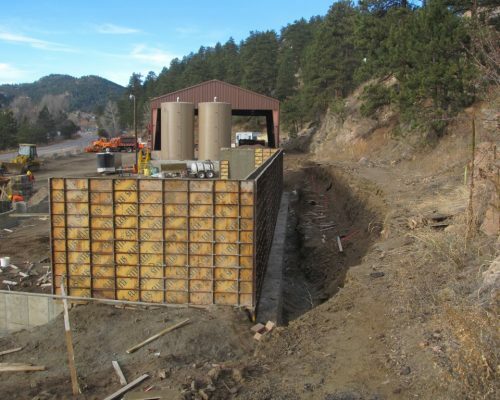 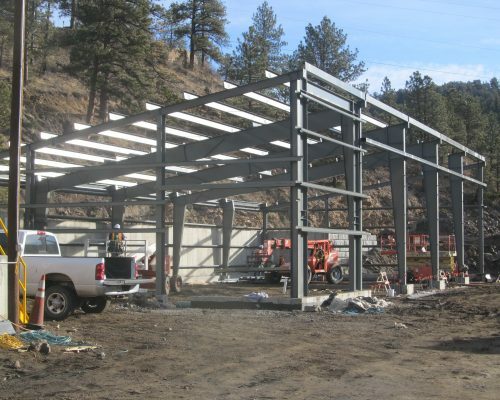 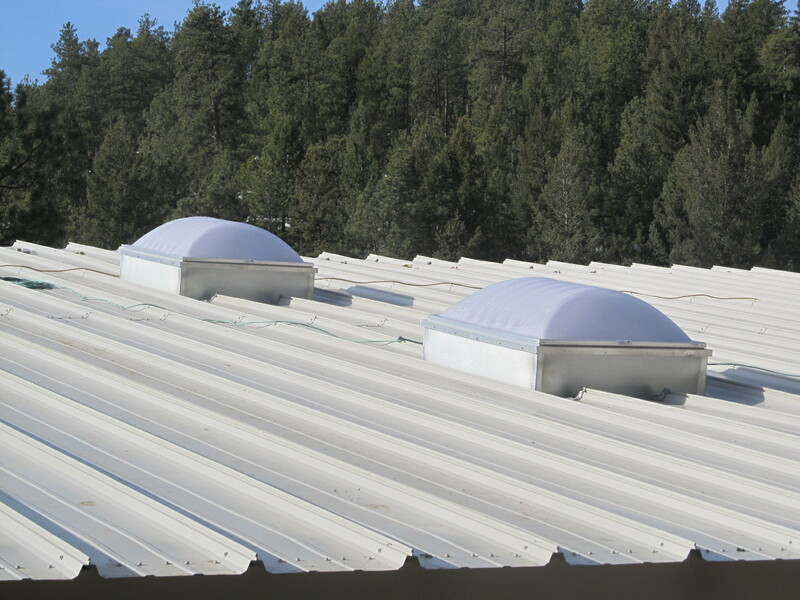 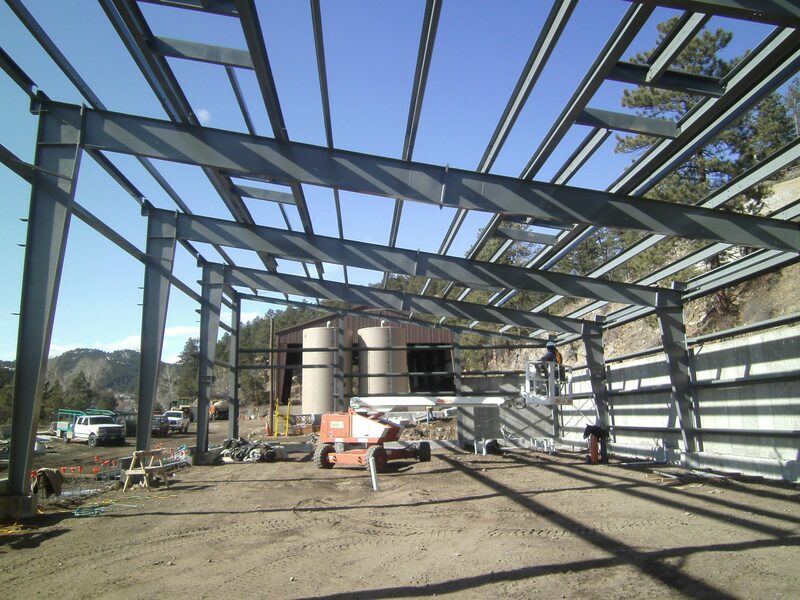 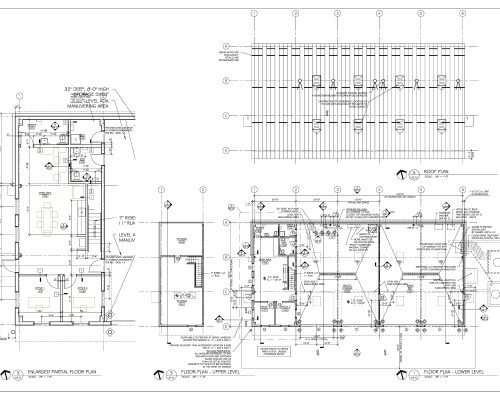 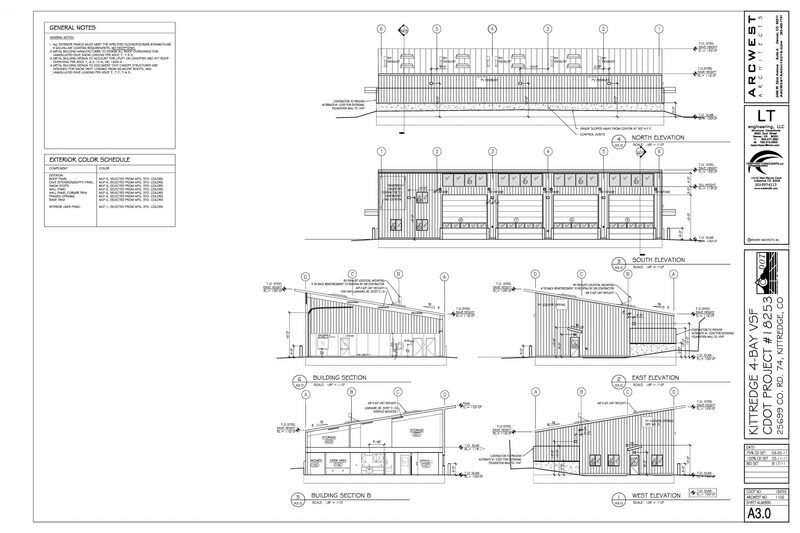 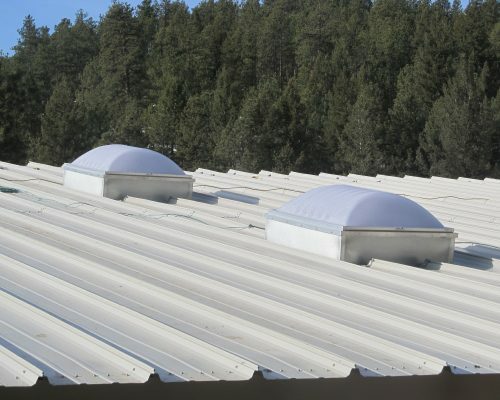 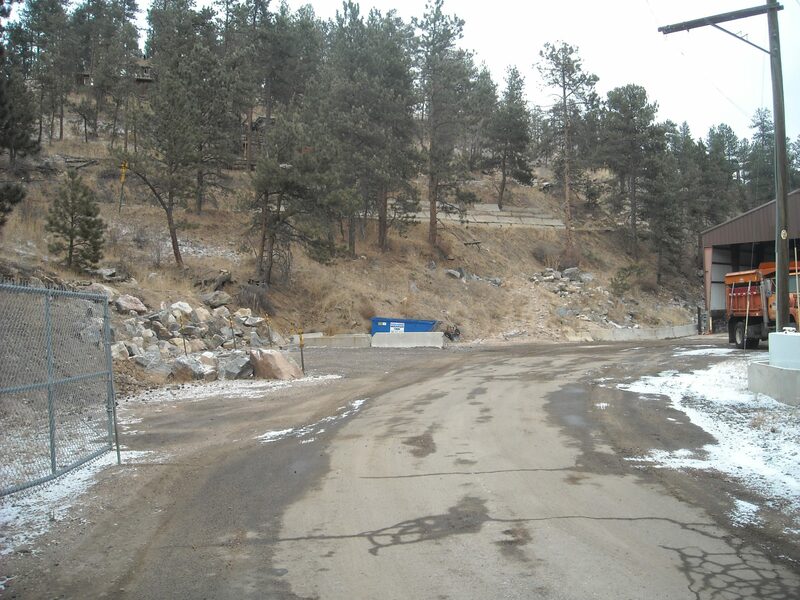 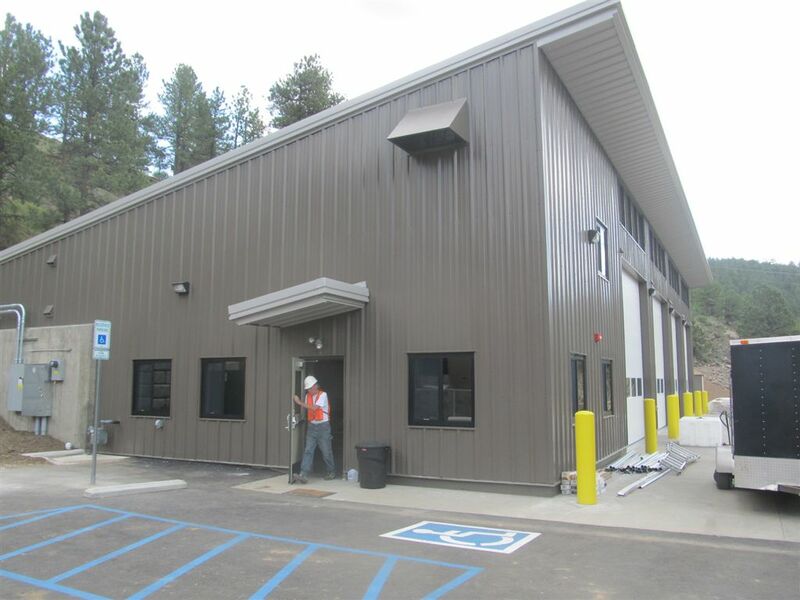 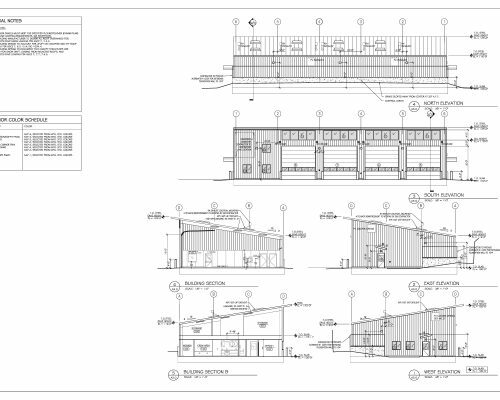 ArcWest Architects was retained to lead the design and engineering team for a new four bay vehicle storage and office facility in the mountain community of Kittredge, Colorado. 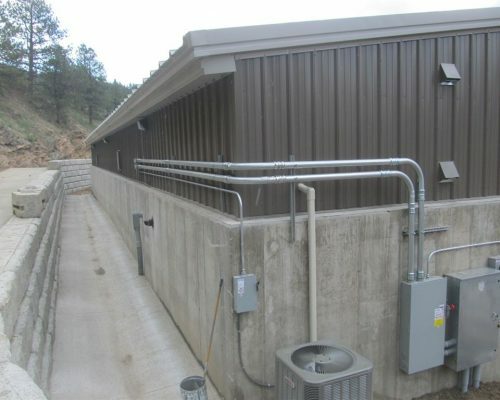 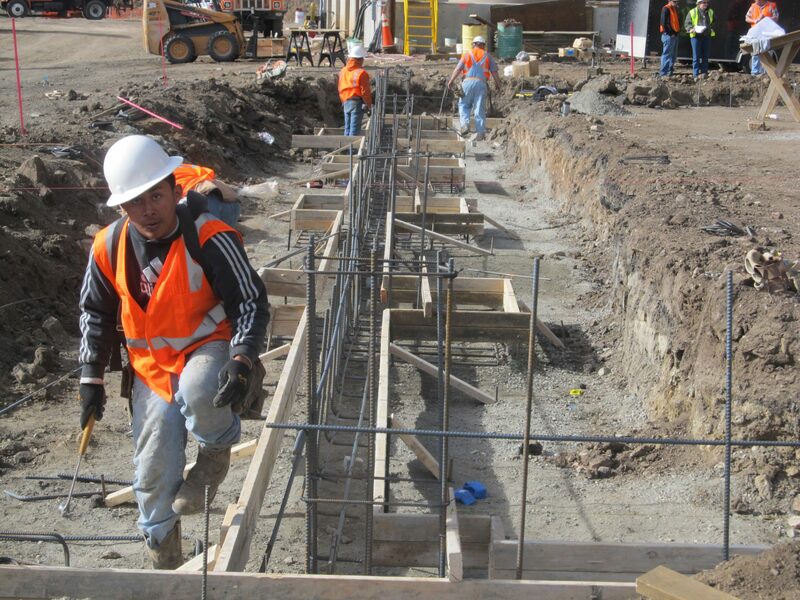 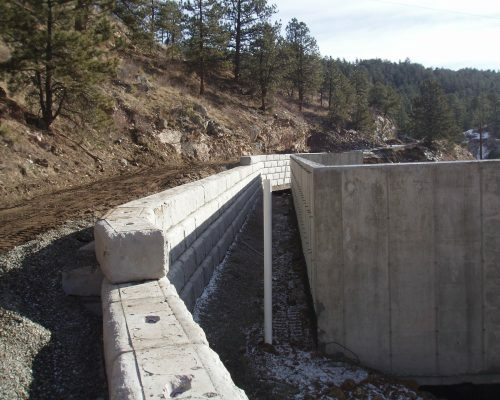 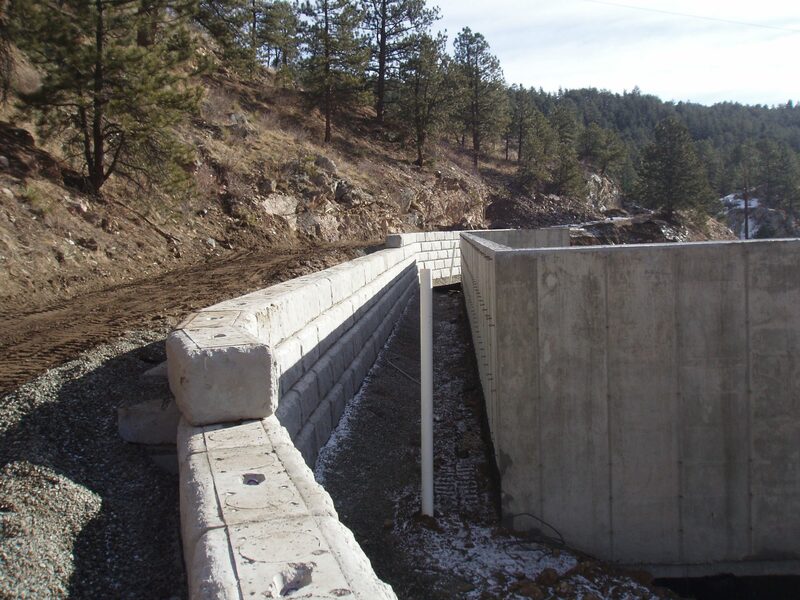 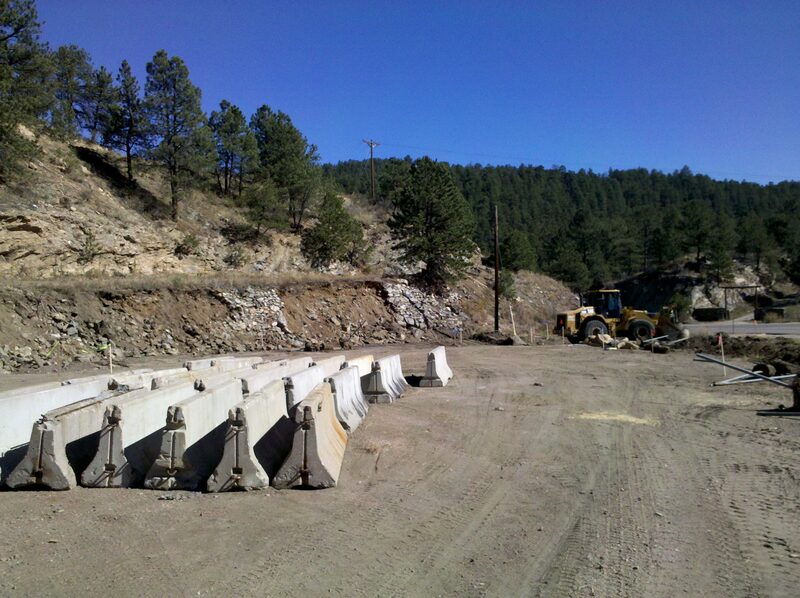 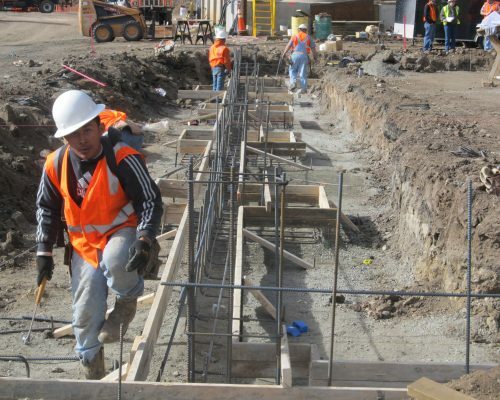 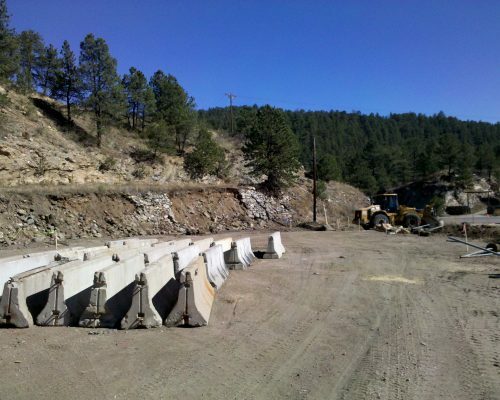 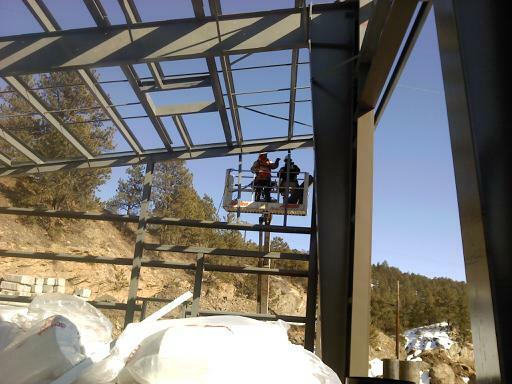 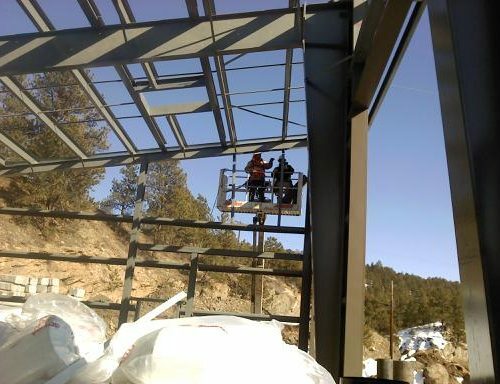 This was the first Colorado Department of Transportation (CDOT) project for ArcWest and represents our continued use of economical manufactured building systems. 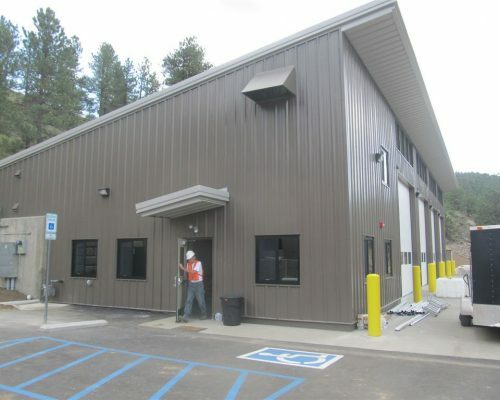 This particular building was provided by Chief Industries per ArcWest’s design and specifications. 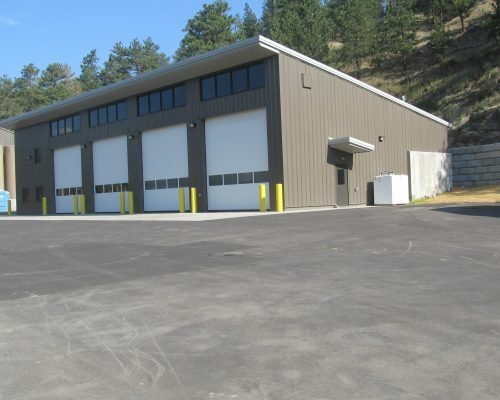 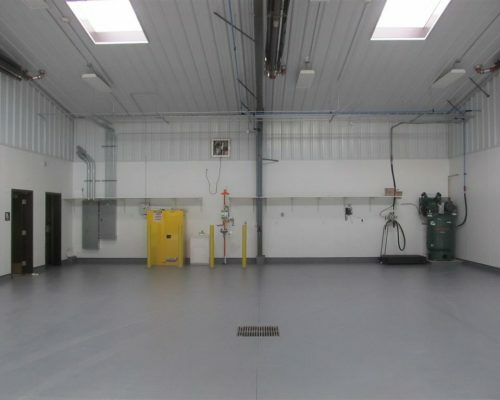 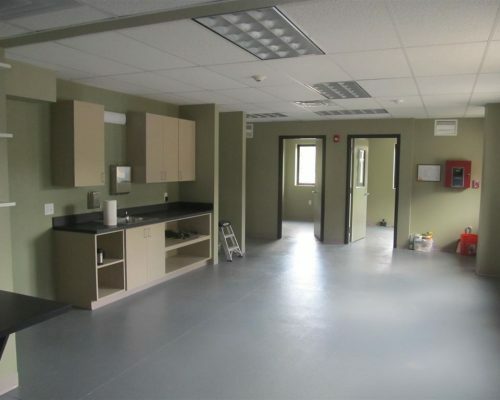 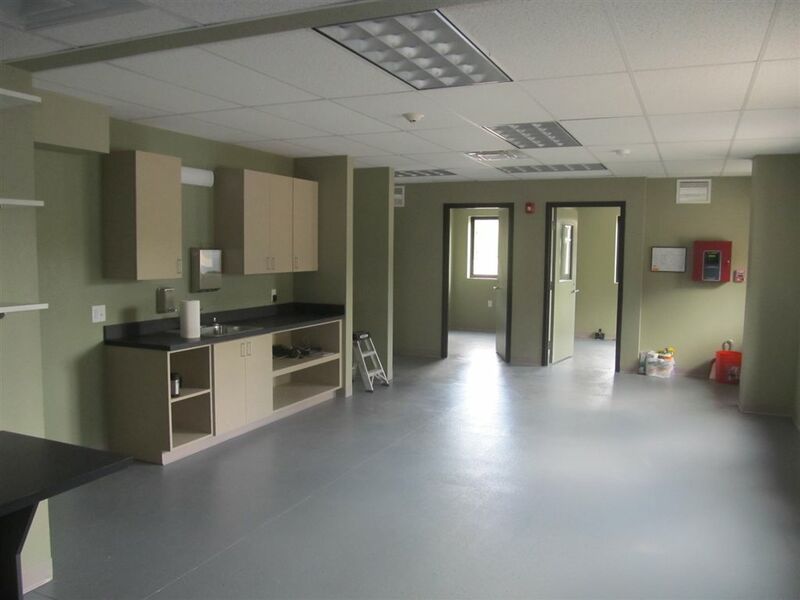 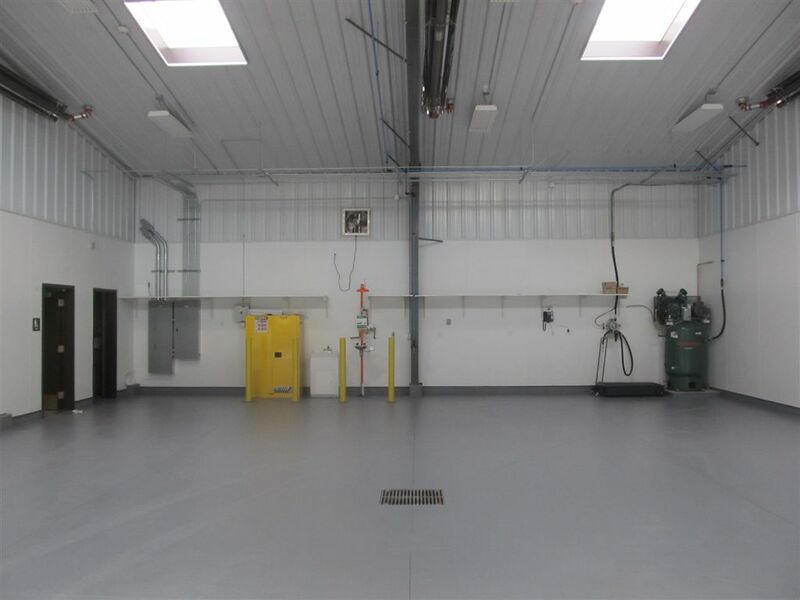 This new 50’x100’ four bay facility is located on a narrow parcel of land along HWY 74. 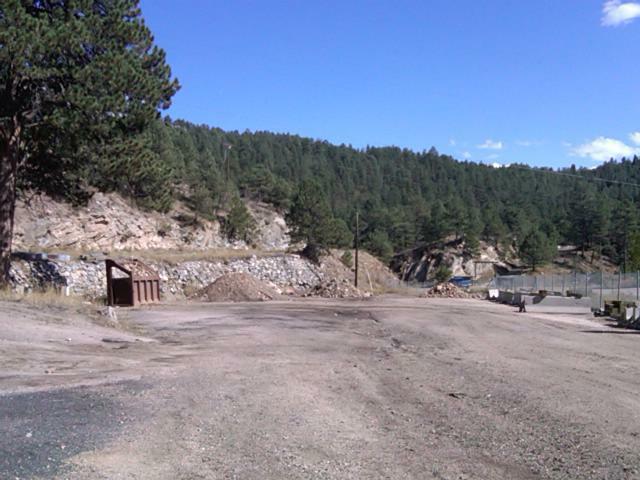 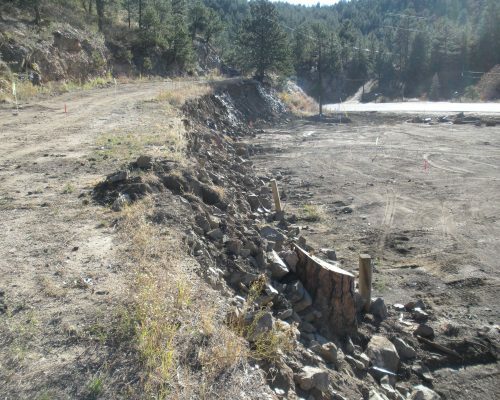 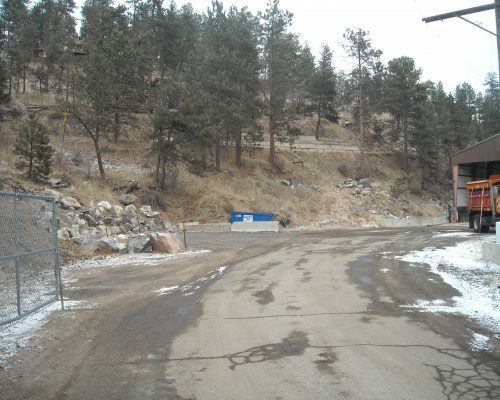 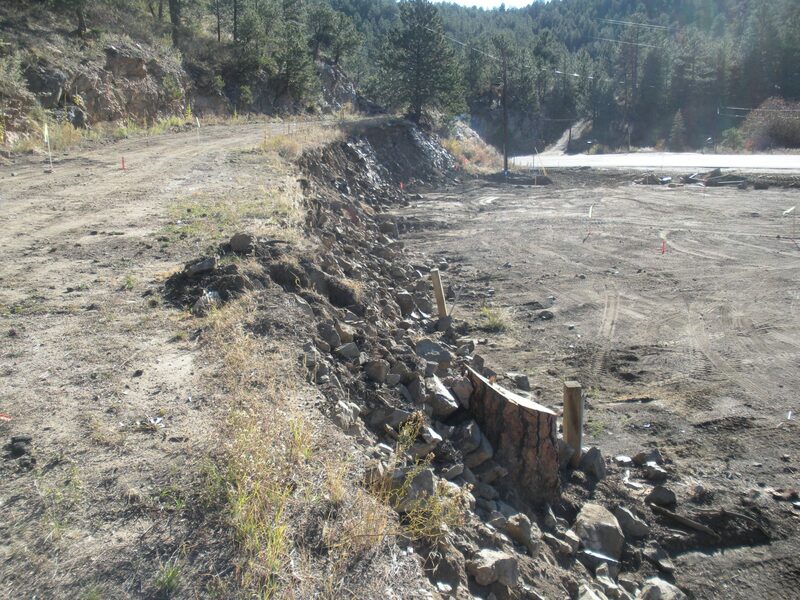 CDOT previously occupied this land which also contains a large sand shed and road chemical storage tanks. 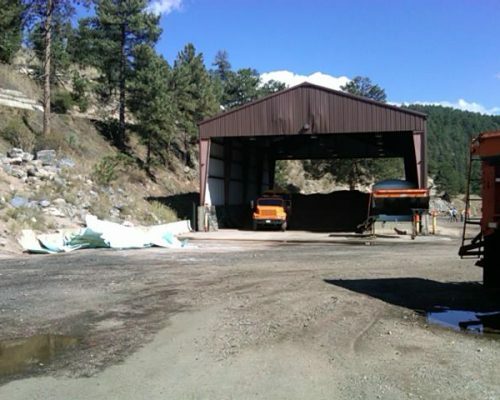 This new structure was needed to store, washed and maintain new large plow truck equipment. 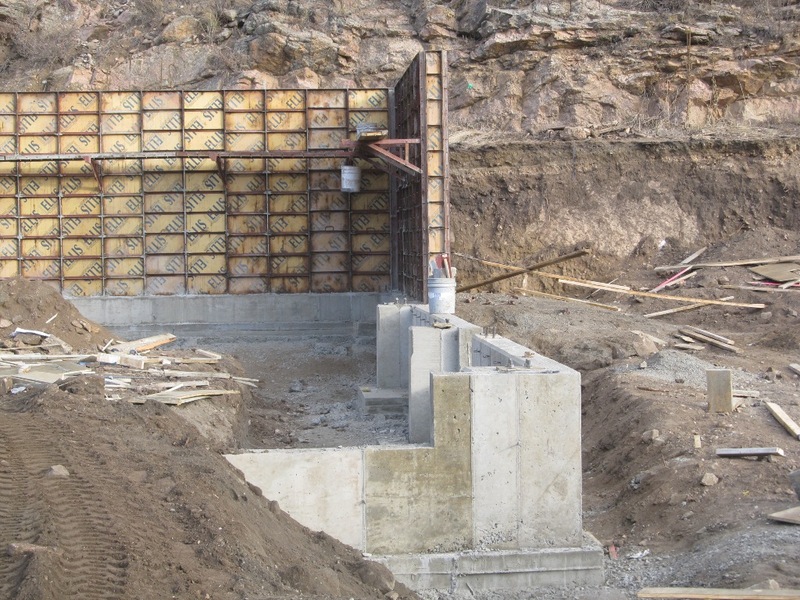 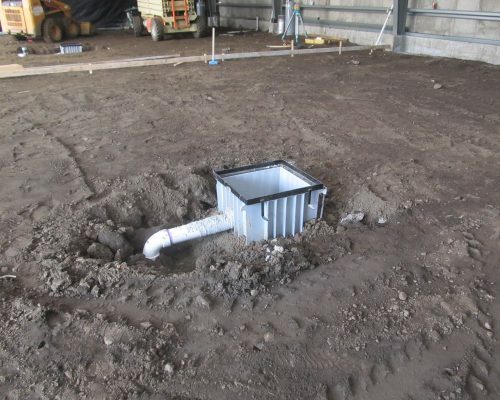 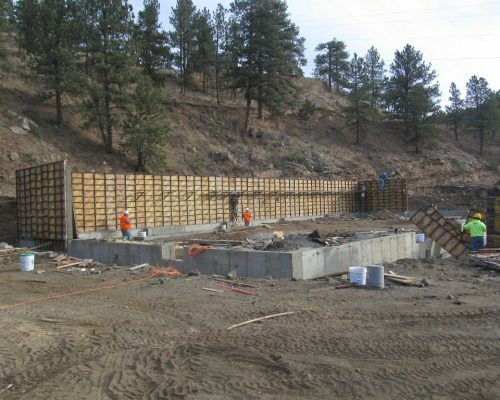 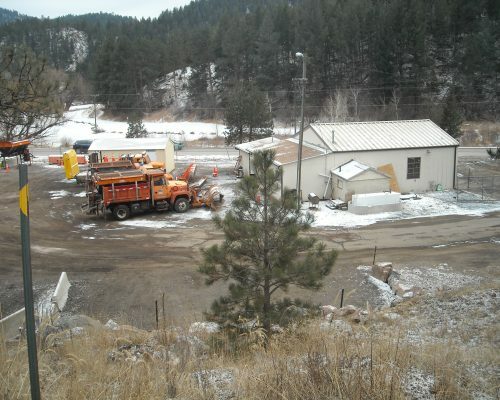 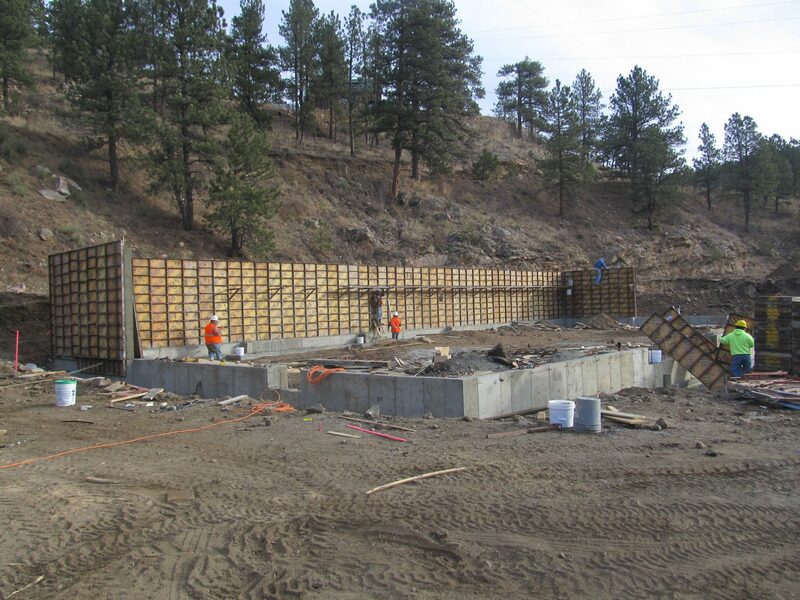 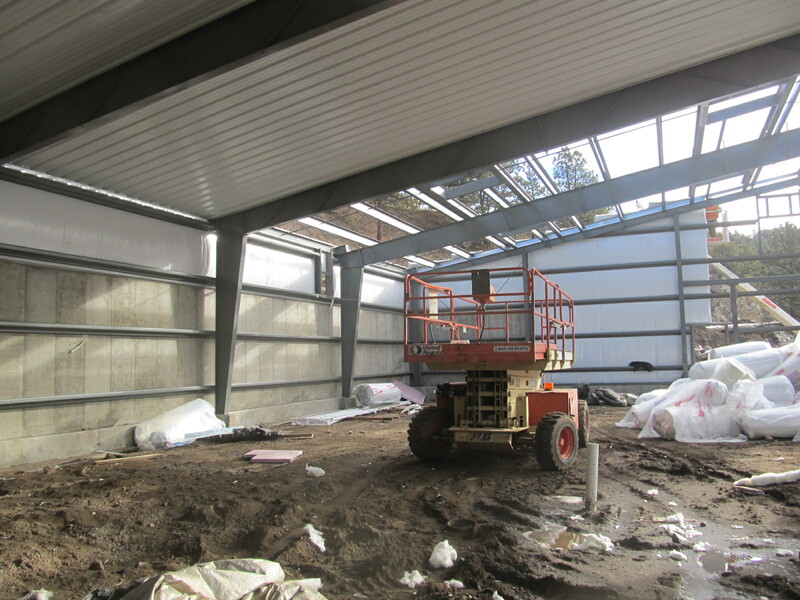 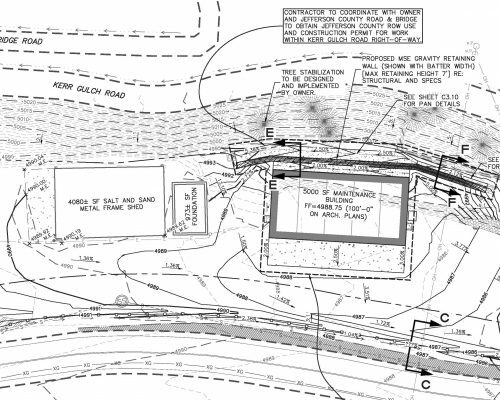 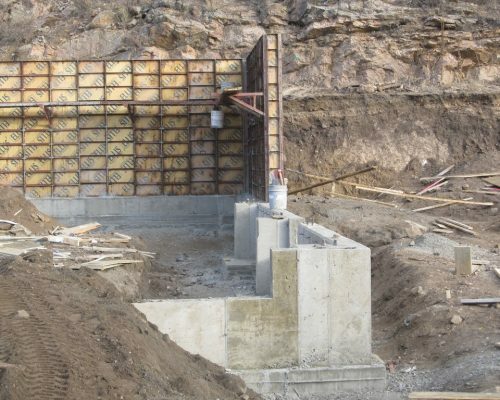 Due to site constructions and the need to maneuver large trucks and equipment the building was aligned with the sand shed and pushed up against a large hillside. 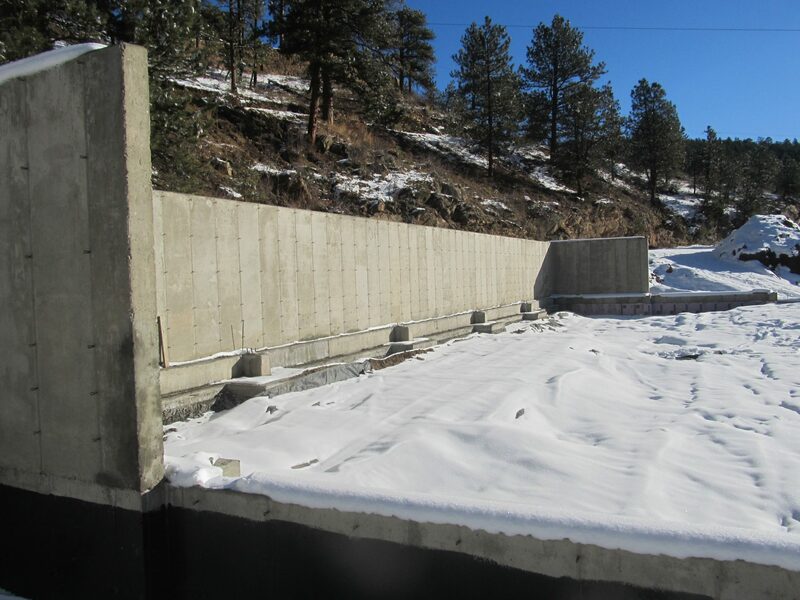 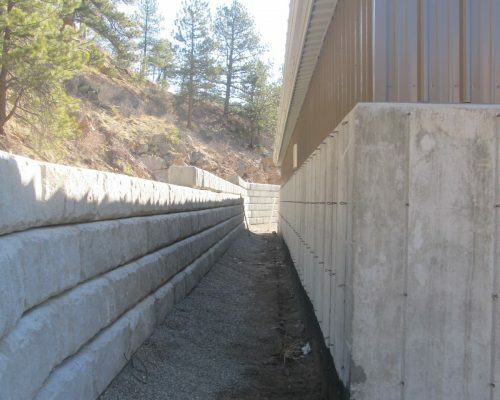 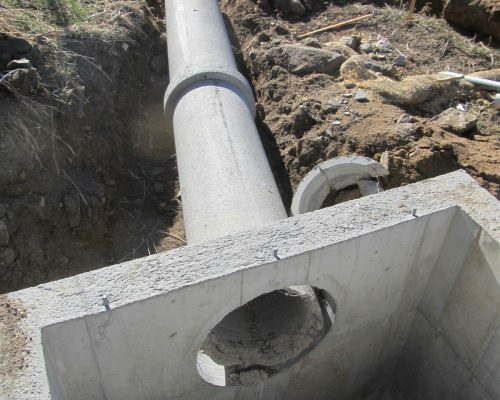 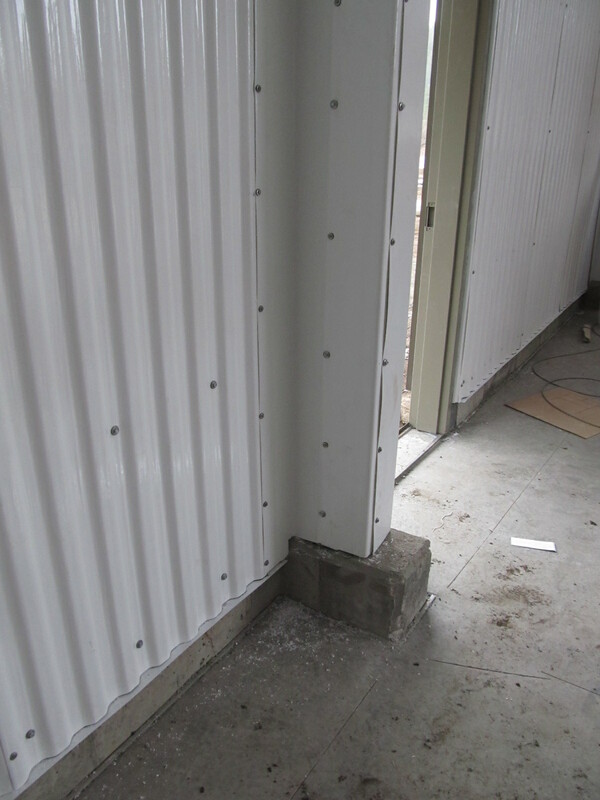 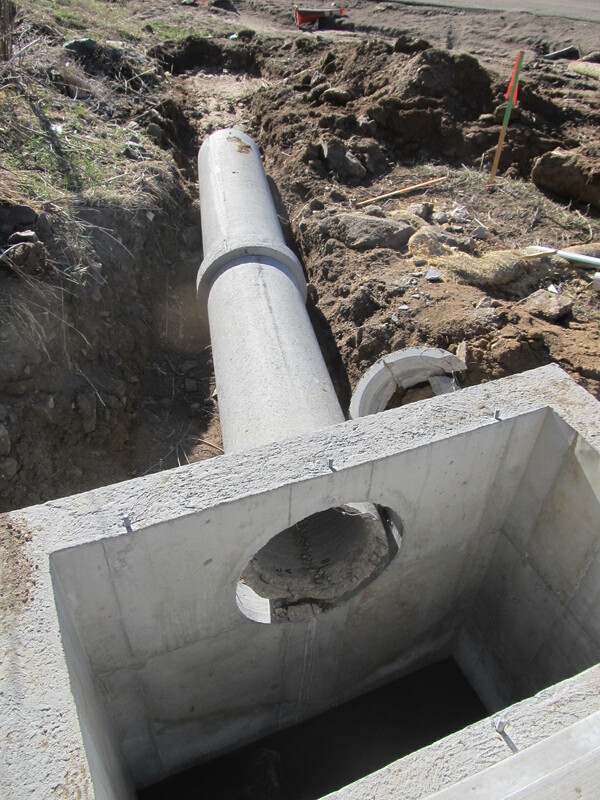 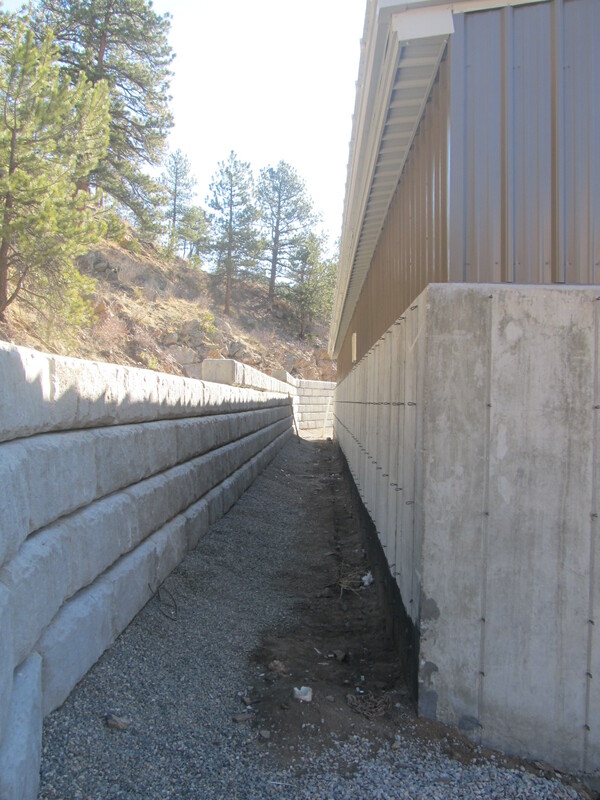 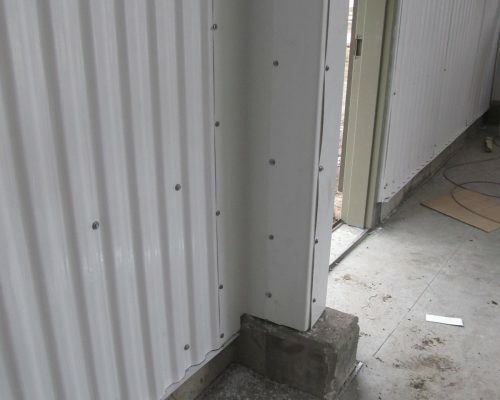 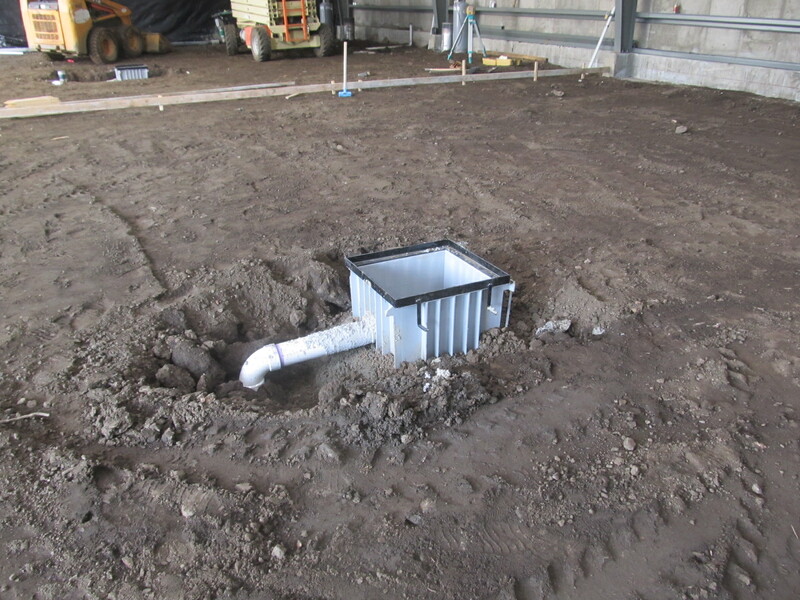 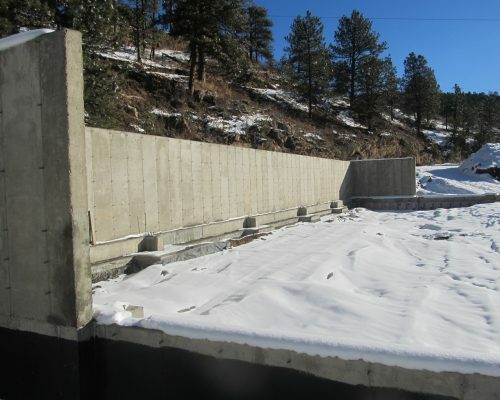 This required a site retaining wall behind the building in addition to a raised foundation wall on the back of the building to protect the wall from potential hazardous debris, snow and ice. 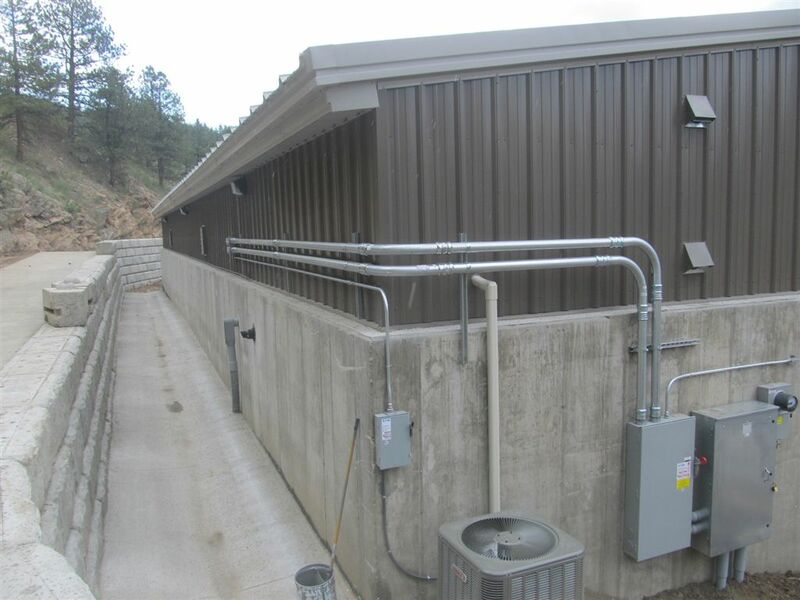 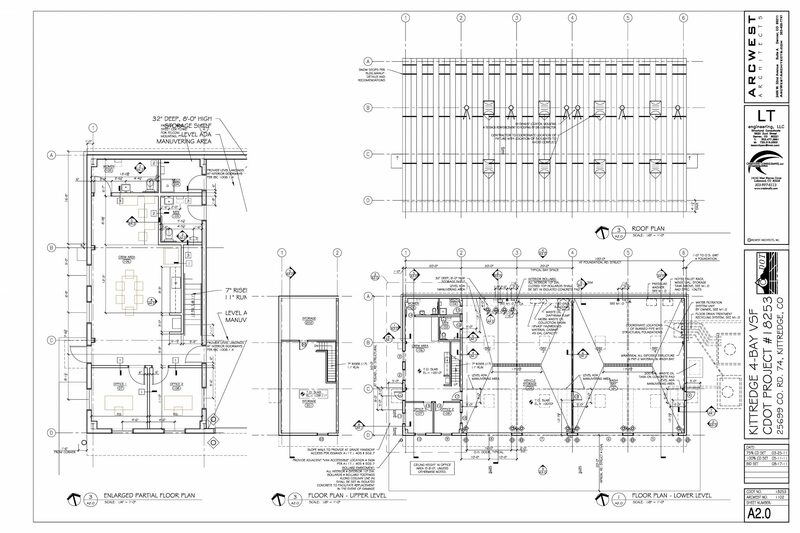 This facility incorporates many active and passive energy reducing design elements. 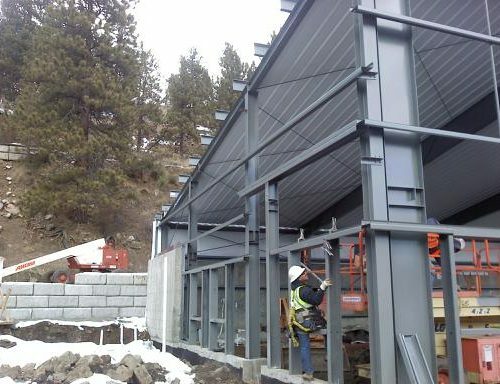 The building uses south facing clear-story glass with a large roof overhang to reduce electric lighting and maximize natural snow melt at the bay door entries. 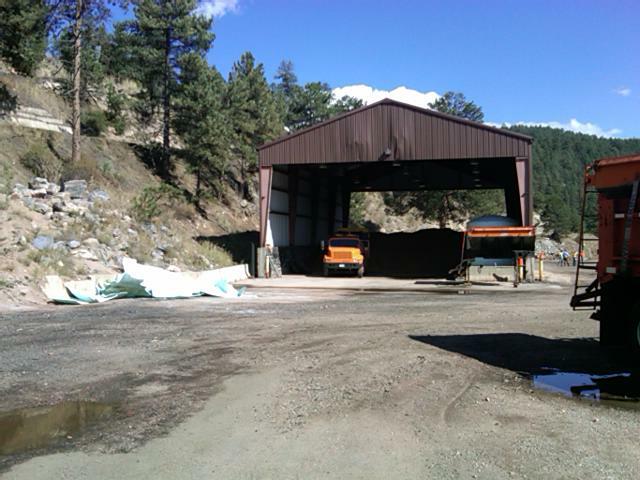 The vehicle wash system recycles all interior snow melt in addition to the water used to wash the vehicles. 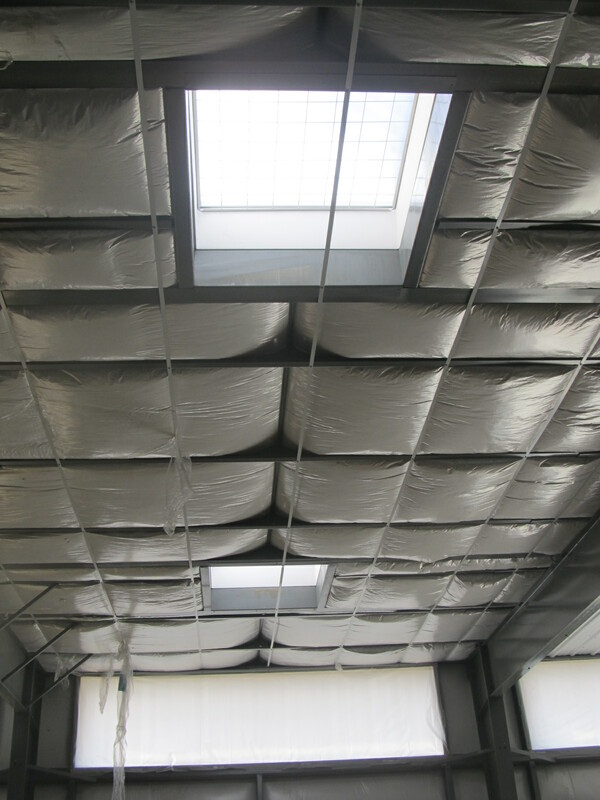 Ceiling fans and radiant heating coils are used to heat equipment and circulate the air eliminating conventional heating. 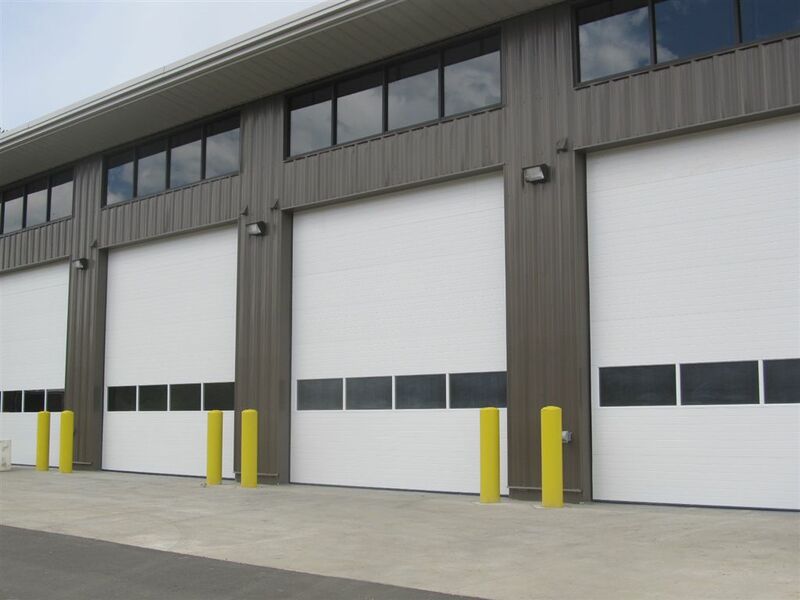 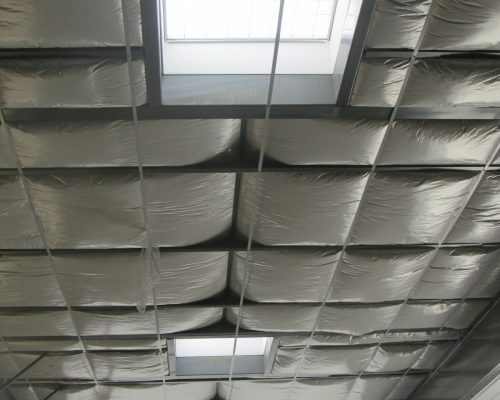 This building was constructed with a goal of functional durability and reduced long term operating cost.